Ready for occupation by June 2011. Bookings for the Apartments in THE ROYAL PARADISE are now open. – Discounts will be given for down payment or installment payments. – Loan from State Bank of Mysore can be arranged for 85% of the registration value. 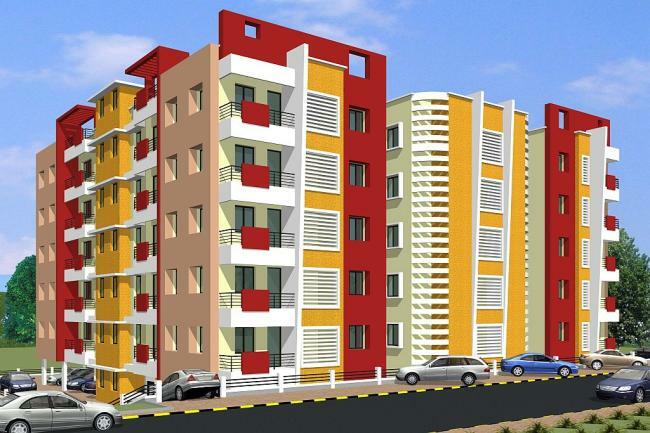 – Loan can be obtained even for under construction flats and repayment will start only after completion of construction. – Only document required is Salary Certificate. – Approximately 50% of 60 months’ Salary will be given as loan. – Ready for occupation by June 2011. It is a good investment opportunity in fast developing city of Moodbidri which already has three Engineering Colleges and Alva’s Institutions having over 10000 students. Two Dental Colleges and a Medical College are expected in Moodbidri in the near future. Main door of Hard Wood frame with water proof molded flush door shutter. All interior doors of concrete frames with water proof flush door shutters. This entry was posted in Property and tagged apartments, flats, Moodabidri, Moodbidri, new apartments, new flats, Royal Paradise. Bookmark the permalink.